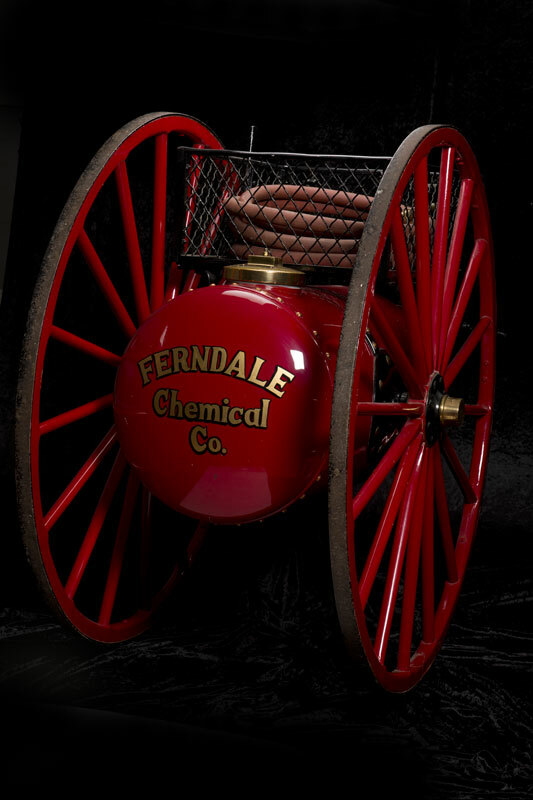 Not much is known about this chemical cart as far as when it was purchased or used. It doesn’t show up in any of the photos we have from the period it would have been in use, and its purchase doesn’t seem to have been recorded in the Enterprise as far as we can tell. It dates from around the 1890s. Although there are only the markings of R.S. 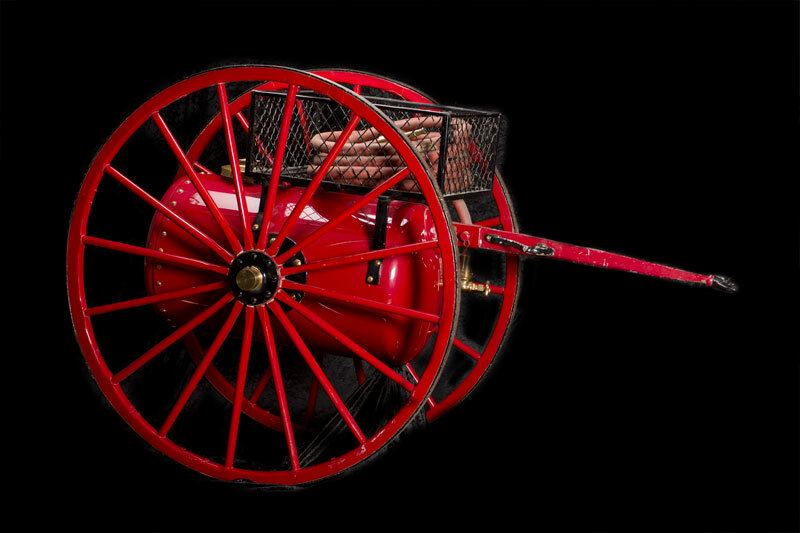 Chapman, the seller agent, on the brass cap, from photos and description of a almost identical cart on the web, we know this cart was built by the Fire Extinguisher Manufacturing Company of Chicago. 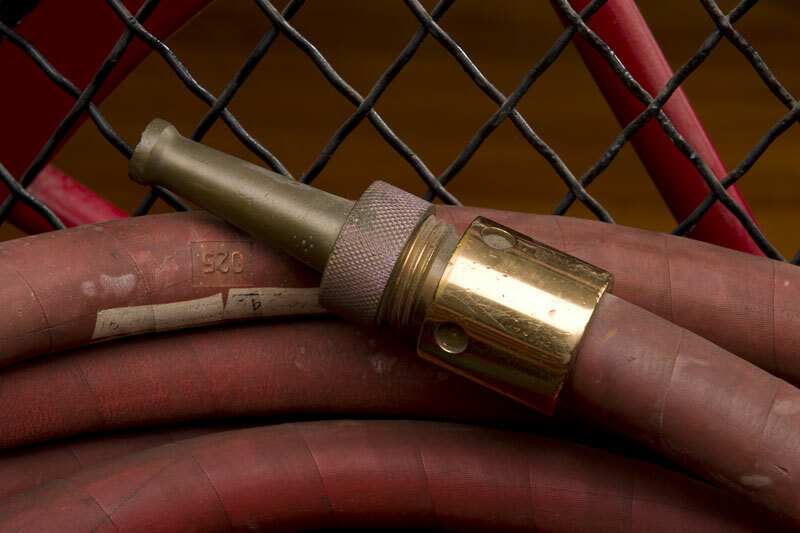 FEMCO was established in 1866, and in 1900 it was absorbed into the International Fire Company along with several other companies. Four years later this company was merged into the American La France Fire Engine Company conglomeration. The cart’s thirty gallon tank held a prepared mixture of water and sodium bicarbonate. Inside the tank a bottle of sulfuric acid was suspended. Chemical carts were the quick attack fire apparatus of the day. 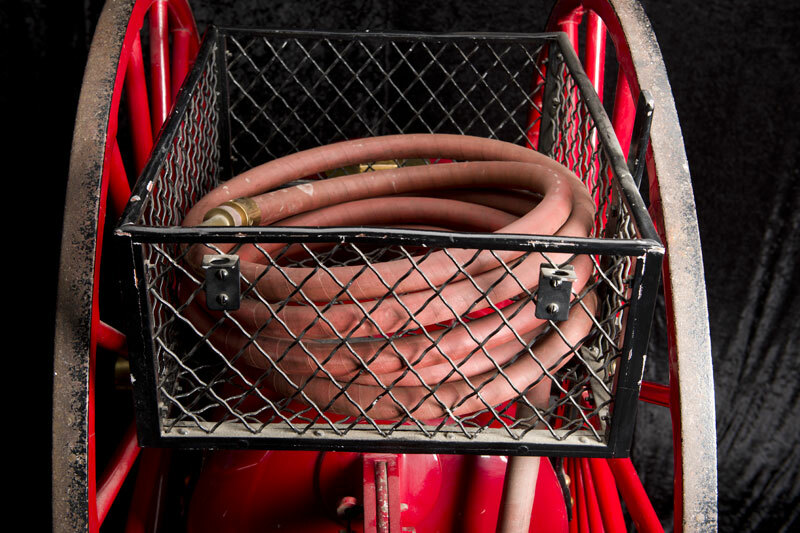 While it took time to set up and man a pumper like the Hunneman, the chemical cart was ready to go. At the scene of the fire the cart was tilted vertically, causing the stopper to fall out of the acid bottle. The acid mixed with the soda-water solution and generated carbon dioxide gas, which propelled the water through the hose onto the fire. 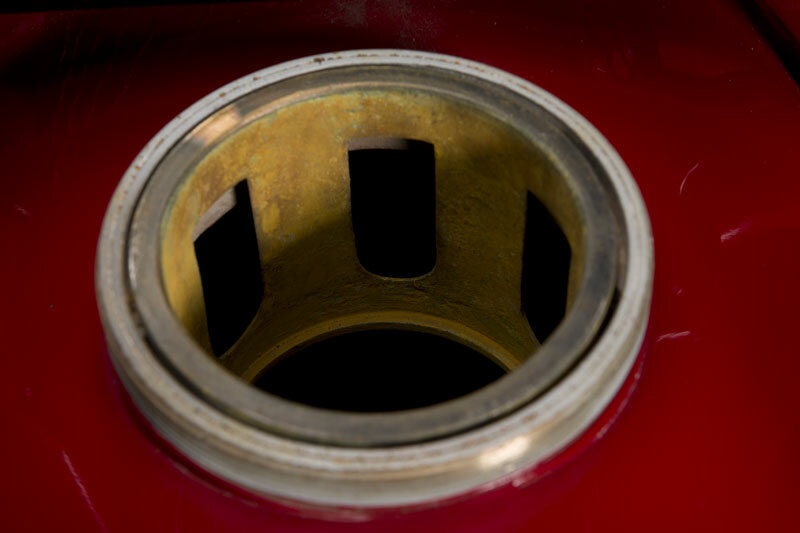 A basket atop the tank carries about 25 feet of 3/4 inch rubber hose, with a small diameter brass nozzle. 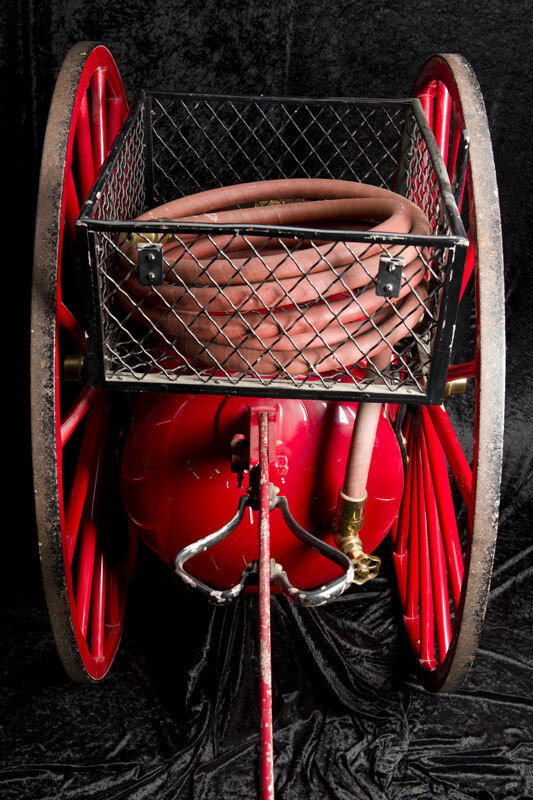 While trying to research this piece of apparatus, our only clue was the R.S. Chapman, Seller’s Agent on the brass cap. So we dug into the history of R.S. Chapman to see what clues we could find. Mr. Chapman arrived in San Francisco on Feb. 26, 1852 on the Golden Gate, a steamer that took 14 days to sail from Panama via Acapulco, Mexico. 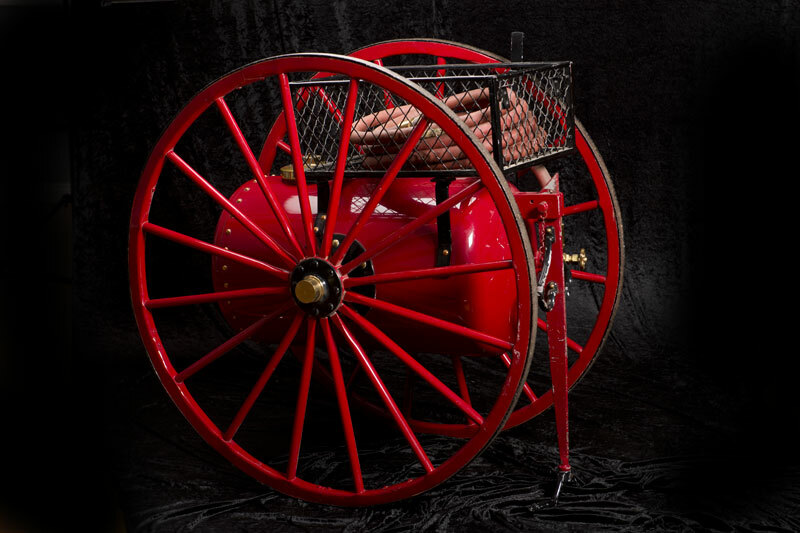 A hydraulic engineer by trade, he was also a member of the San Francisco fire department, and in 1883 was injured in the major explosion at the Palace Hotel. 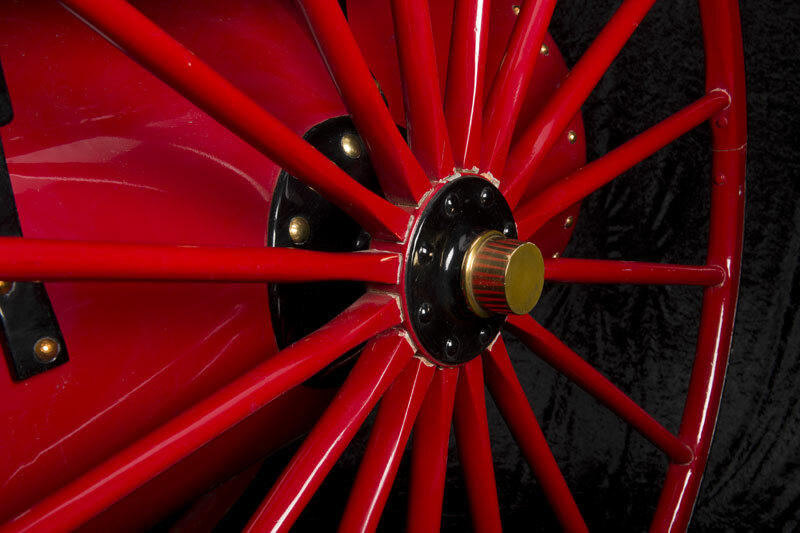 In 1890, he received a patent for his new design for a stationary hose reel. 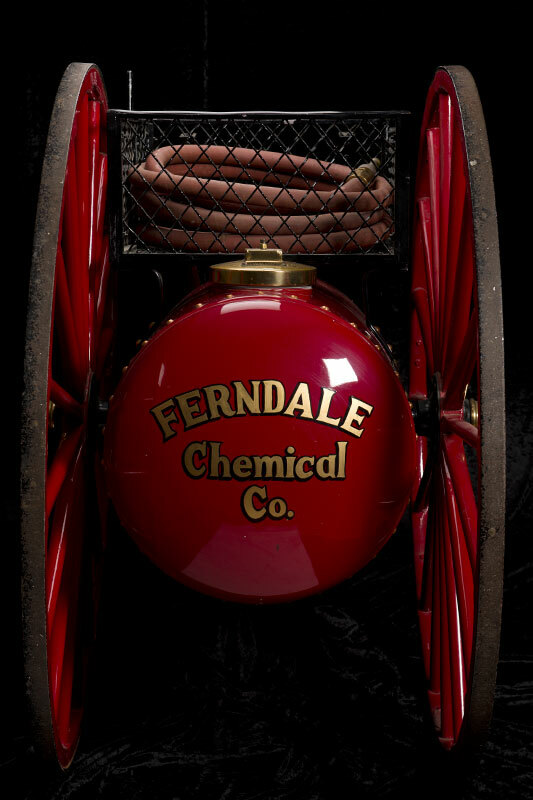 Advertisements in 1899 show that he was manufacturing hose reels for the fire fighting industry, as well as being an agent for American Fire Engine Co., one of the companies that eventually became American LaFrance with the merger in 1904. 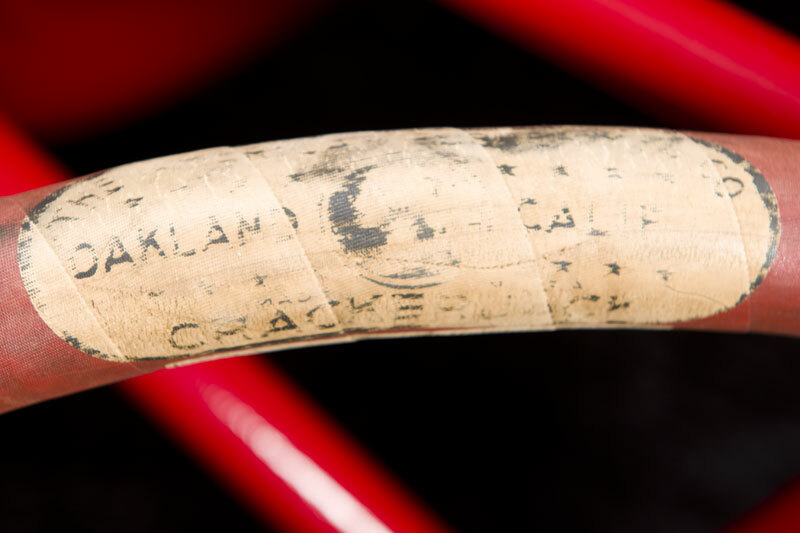 In 1903, a notice in a trade magazine notes that Mr. Chapman is the director in a newly incorporated company, the Chapman-Baker Machine Works, in San Francisco. This business is a continuation of a business conducted by himself and Fred Baker. The machine shop is a branch of the fire department machinery and apparatus business of the company, although it does quite a line of outside work and employs from six to ten men. The company was involved in modernizing and providing with new boilers, etc, the steam fire engines in California. A 1906 advertisement lists R.S. 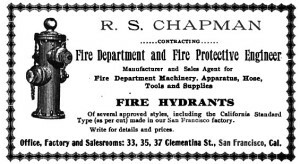 Chapman as a manufacturer and sales agent for fire department machinery, apparatus, hose, tools and supplies. 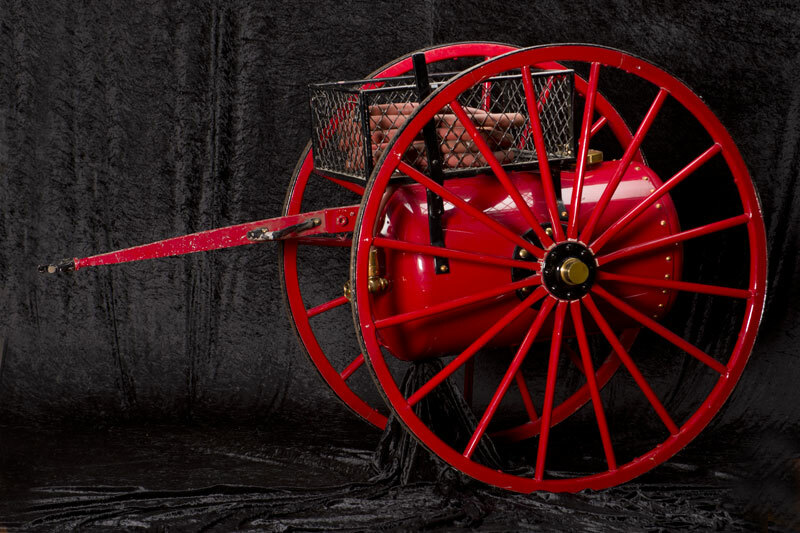 They also manufactured fire hydrants which were used in several Bay Area cities. In 1910, a telephone directory lists R.S. 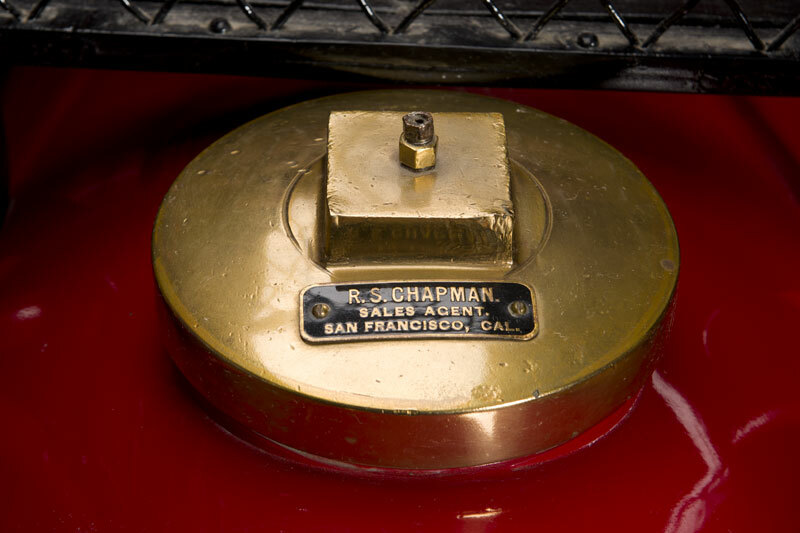 Chapman at yet another address, and the listing is under the category of fire extinguishers.